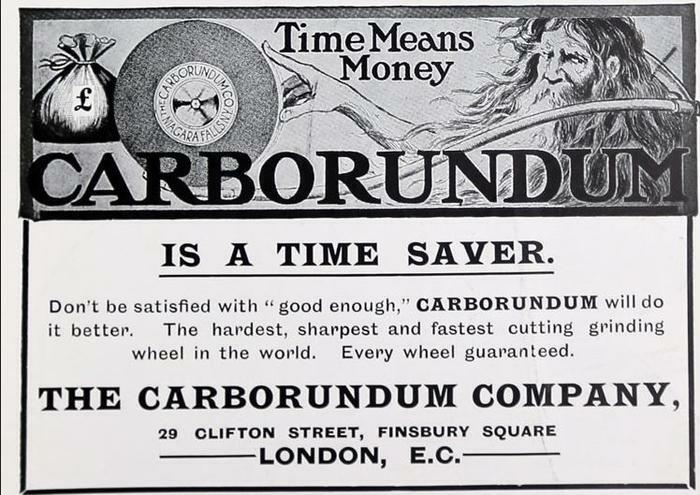 Carborundum, History, Manufacturing since 1891. 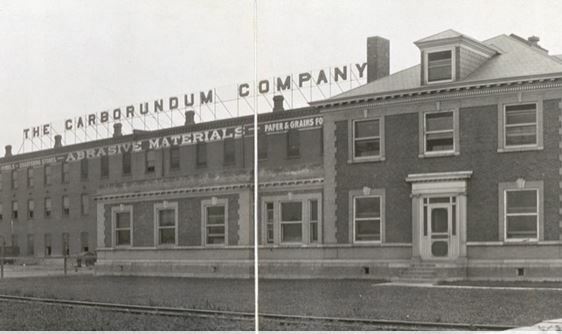 Thread: Carborundum, History, Manufacturing since 1891. 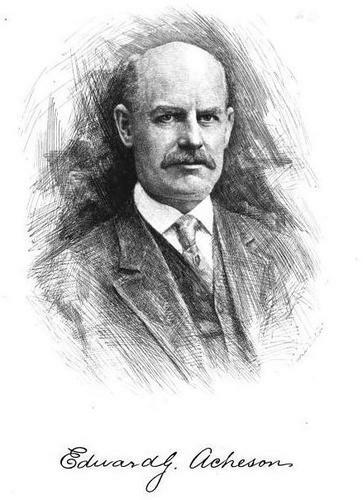 In 1891, Edward Goodrich Acheson a scientist from Monongahela City, Pennsylvania, was trying to duplicate diamonds using electricity. 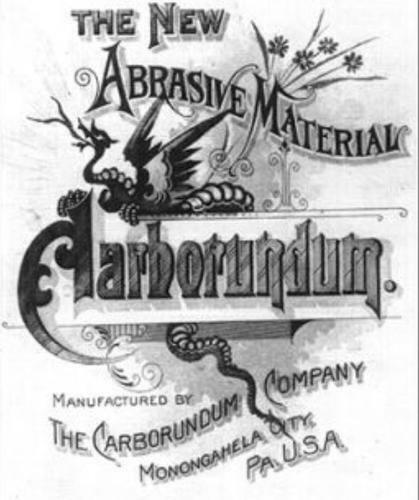 A combination of Aluminum oxide and carbon created small crystals that could cut glass, he called it Carborundum. 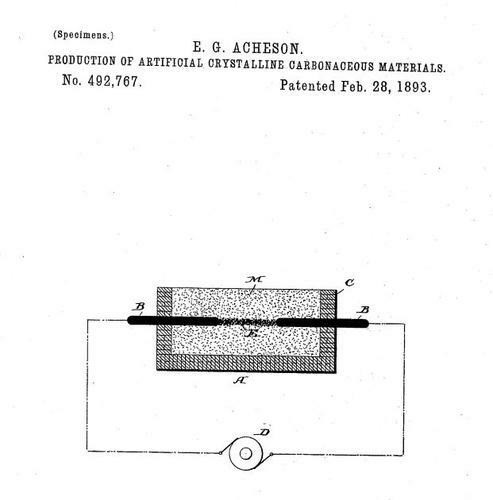 The crystals were actually silicon carbide,the world's first artificially produced mineral. 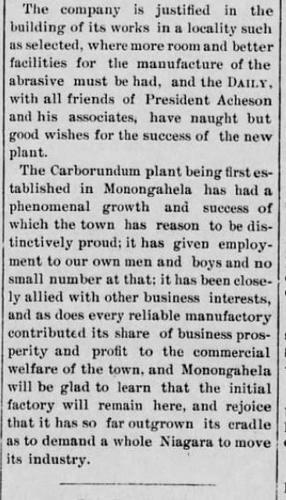 In September of the same year he founded "The Carborundum Company" in Monongahela, Pennsylvania. 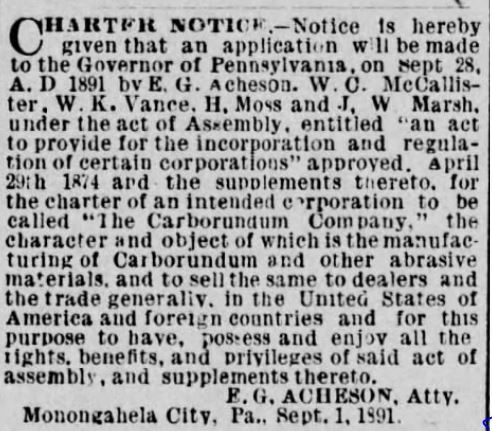 A contract with George Westinghouse for grinding wheels secured money to purchase a powerful dynamo to produce his newly find invention. 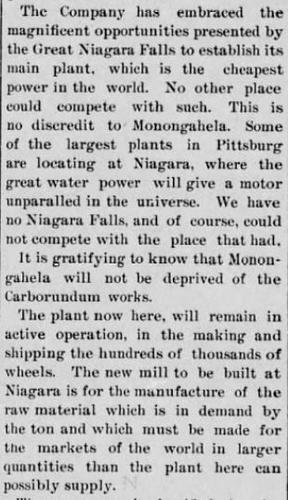 The factory in Pennsylvania was not able to keep up with the demands, Acheson was looking for a place to expands but required a lot of electrical power and he found that in Niagara falls New York. 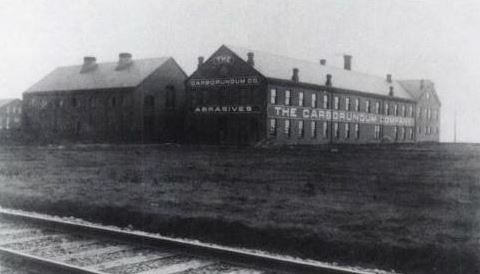 The new Carborundum plant opened in Niagara Falls in October 1895, with plenty of electrical power. 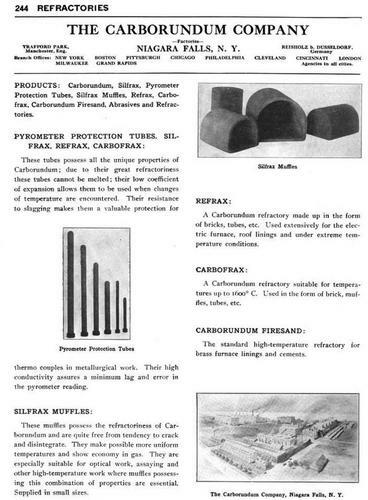 They patented silicon carbide has a refractory material in 1898.The growth continued and they open another manufacturing facilities across Niagara Falls in Canada. 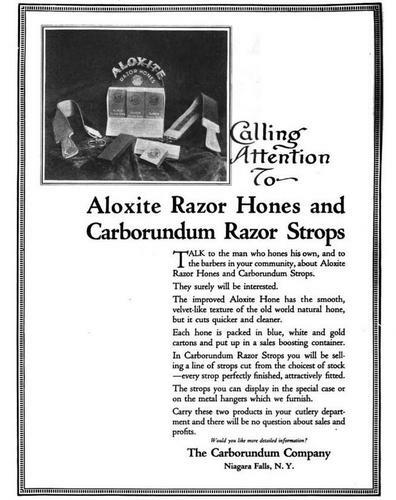 In 1905 they fused Aluminum oxide and created a new abrasive called Aloxide. 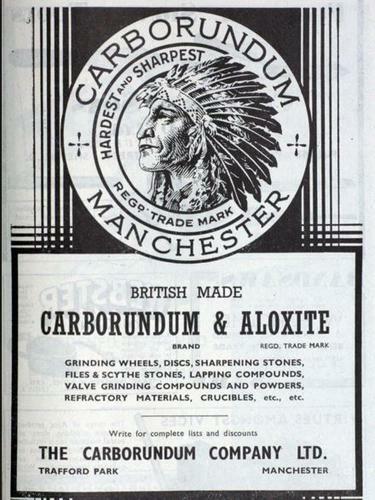 In 1906 it opened the Deutsche Carborundum Werke near Düsseldorf, Germany, followed by in 1910 by the opening of the Compagnie , Aloxite in France. 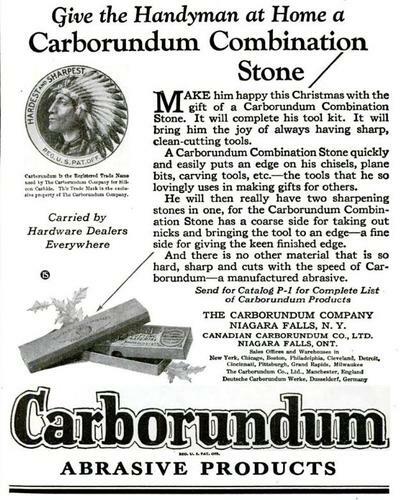 Furthermore in 1913 a new subsidiary, The Carborundum Company Ltd., was formed in Manchester, England. Last edited by Martin103; 02-23-2017 at 03:28 PM. 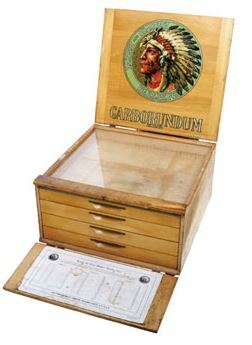 MODINE, Geezer, sharptonn and 13 others like this. 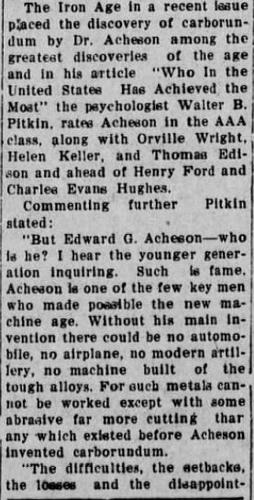 In 1931 the American Scientist Acheson passed away. Geezer, sharptonn, 32t and 7 others like this. 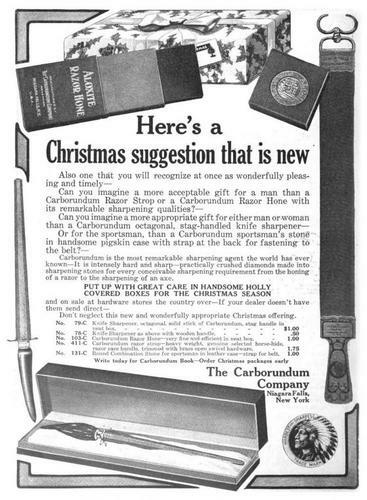 A collection of advertisement from The Carborundum company. 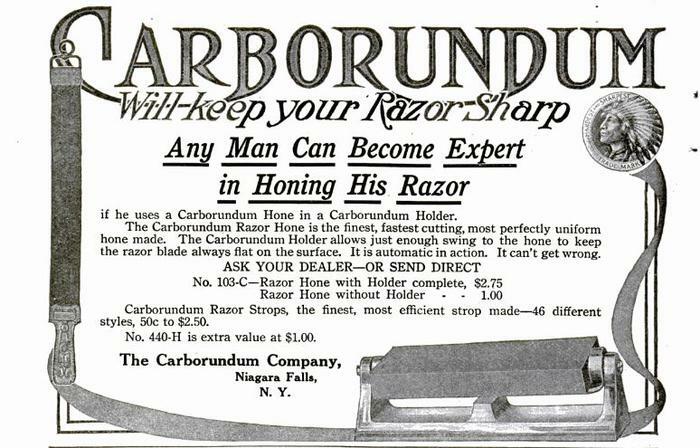 sharptonn, 32t, Hirlau and 6 others like this. And lastly a few more from Carborundum. 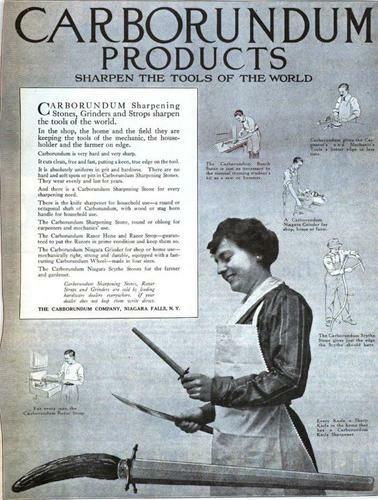 Here an interesting video from 1920's showing the entire process to produce the Carborundum. Disburden, sharptonn, 32t and 8 others like this. I thoroughly enjoyed that movie/video. Who would have thought I would like silent films. You learns something new about yourself everyday. 32t, Martin103, Marshal and 1 others like this. 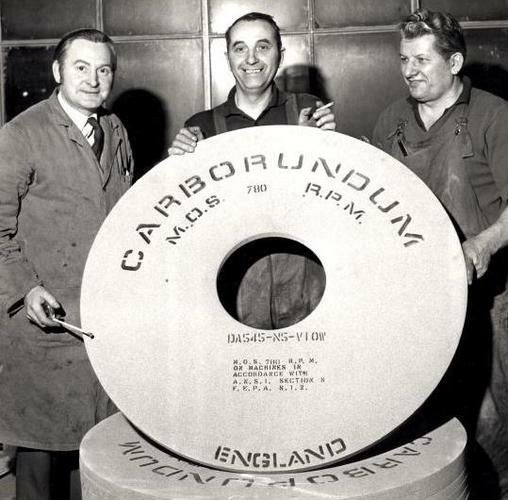 A very interesting series of posts; but as a matter of clarification, carborundum, also known as silicon carbide is formed by the reduction of silicon dioxide in the presence of carbon. Silicon dioxide is also known as silica or silica sand. Silicon carbide is found in nature, but it is rare. 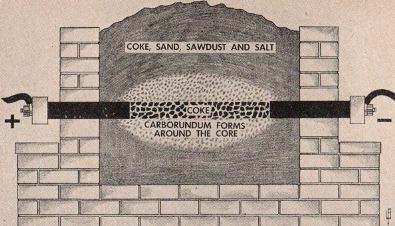 Sand and carbon are found in abundance, so synthetic silicon carbide is more readily available that the natural mineral. 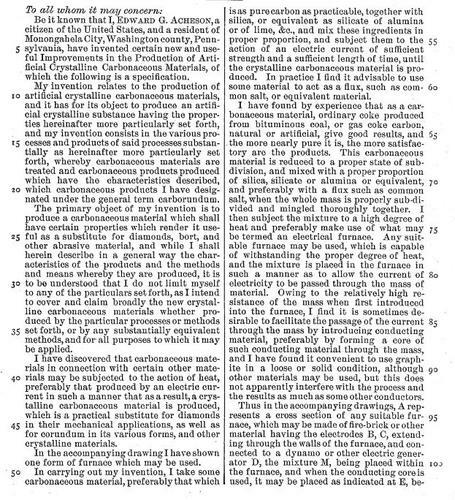 Aluminum oxide, also known is alumina, is also an abrasive, but it is not used in the production of silicon carbide/carborundum. The precious stones ruby and sapphire, while varying in color, are all composed of the mineral corundum which is a crystalline form of aluminum oxide. sharptonn, Martin103, Keithmax and 1 others like this. Disburden, sharptonn, Martin103 and 2 others like this.